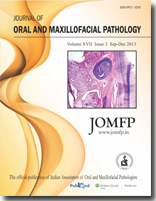 Histopathologically assessed severity of Oral Epithelial Dysplasia (OED) are considered as 'gold standards' for the prediction of malignant transformation of precancerous lesions, since the role of immunohistochemical and molecular biological parameters is still uncertain. Grades such as mild, moderate and severe dysplasia obtained with conventional grading system do not provide adequate information regarding therapeutic management of OED. Also assessing risk and deciding management of 'moderate dysplasia' an intermediate category remains problematic. 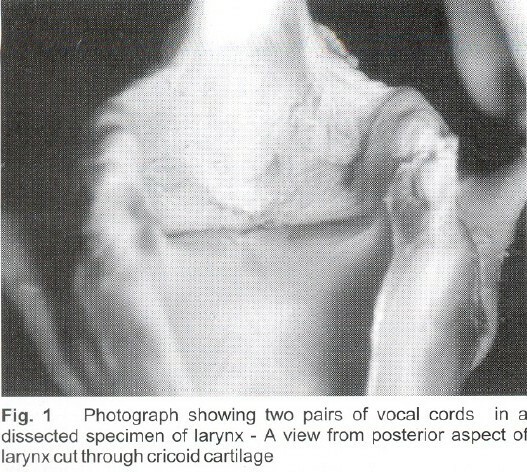 H & E stained slides of precancerous lesions (30 cases) were comparatively assessed using 'Smith & Pindborg' grading system and 'Ljubljana' grading system for "Epithelial Hyperplastic Laryngeal Lesions' (EHLL). Our study showed that, Ljubljana grading system provides more objectivity in evaluation of OED. 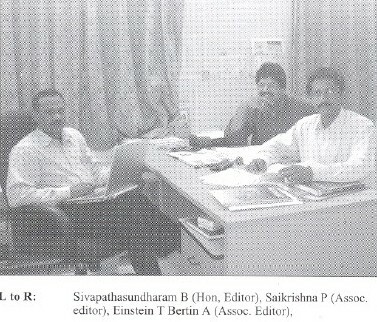 It attempts to utilize a two-grade system, i.e. 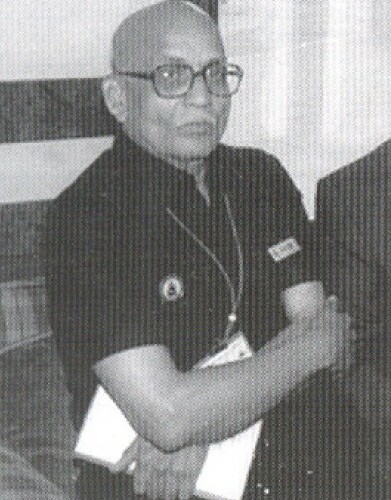 A 'Low' and 'High' grade thus having merit since it eliminates intermediate category. Also, it is a therapeutically informative system of grading, which provides immense information to the clinician and surgeons regarding accurate diagnosis and management of the same. Salivary duct carcinoma (SDC) is an uncommon aggressive malignancy seen predominantly in the parotid gland. 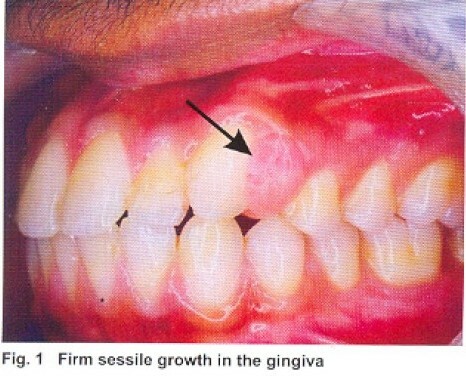 Intra oral cases of SDC arising from minor salivary glands are rare and only a few have been reported in literature. 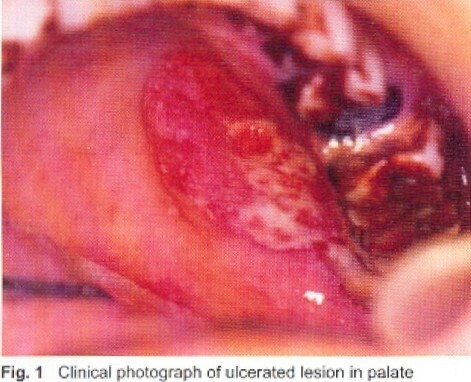 This malignancy is well known for its cestructive behaviour, metastasis to distant sites and high mortality rate. In this article, we present a case of salivary duct carcinoma of palate of a 44-year-old male patient. The incidence of plasma cell neoplasms is increasing nowadays in HIV positive patients. But plasmacytoma presenting as an oral manilestation of HIV infection has not yet been reported in the literature. Here, we report an HIV positive patient with an extramedullary plasmacytoma in the oral cavity. Chronic antigenic stimulation is probably the reason for the development or a malignant B cell clone. which can be implicated in its pathogenesis. Futher studies are required to elucidate the exact pathology of this condition. Pleomorphic aderoma is a benign mixed salivary gland tumour seen most commonly in the parotid gland and is usually found in 4th and 6th decade of life. 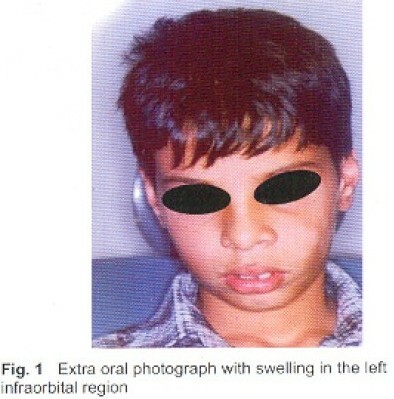 This is a case report of an unusual occurrence in a child in a rare intro-oral site, It was clinically diagnosed as fibronia and later histopathological examination revealed it to be a pleomorphic adenoma. Lipomas are soft tissue tumors of adipose tissue origin. They may be single or multiple and may occur as superficial or deep-seated tumors. Solitary lipomas, consisting entirely of mature fat have stirred little interest in the past and have been largely ignored in the Literature. Approximately 15% to 20% of lipomas occur in the head and neck but the oral cavity is an unusual site. They represent 0.1-5% of all benign intraoral tumors with most lesions occurring in the buccal mucosa. 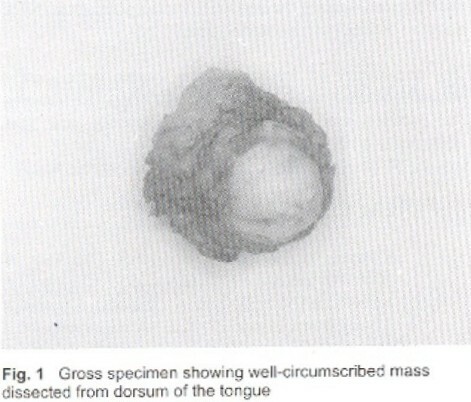 Herewith is a rare case presentation of lipoma present on the tongue. 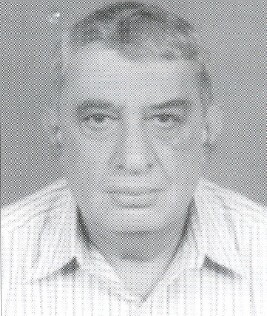 The calcifying odontogenic cyst (COC) was first described as a separate entity by Gorlin in 1962. 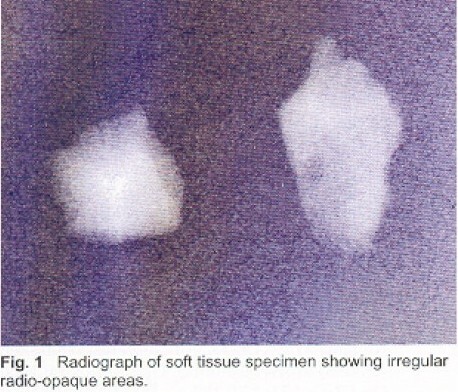 Once thought to be a cutaneous counterpart of benign calcifying epithelioma of Malherbe, described in 1980, COC is an unusual and unique lesion with characteristics of a solid neoplasm and of a cyst. It shows considerable amount of histopathological diversity, with variable clinical behaviour such as cystic, neoplastic, and infiltrating malignant behaviour. There may be variants of COC according to clinical, histopathological and radiological characteristics. 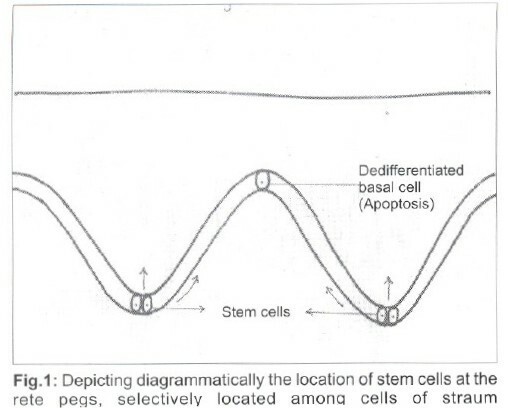 Therefore a proper categorization of the cases is needed for better understanding of the pathogenesis of each variant. 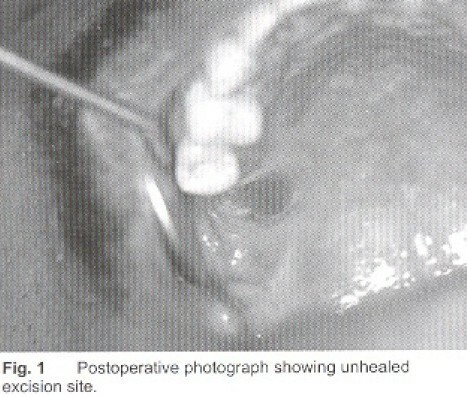 A case of calcifying odontogenic cyst is reported with a brief review of literature. Odontoameloblastoma is a rare neoplasm of odontogenic origin in which the odontogenic cells have given rise to both an ameloblastoma and a composite odontoma. 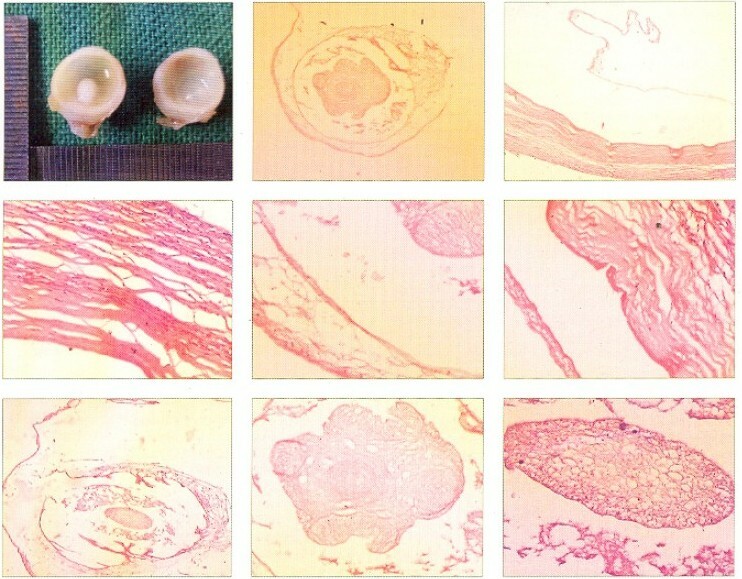 In this neoplasm, there is proliferation of tissue of the odonlogenic apparatus in an unrestrained pattern including complete morphodifferentiation apposition, and even calcification. The lesion is unusual in that relatively undifferentiated neoplastic tissue is associated with a highly differentiated tissue both of which may show recurrence after inadequate removal.